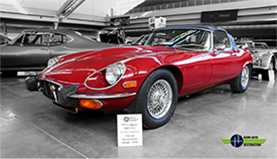 We offer partial restoration services and recommissions for a wide range of European and American collectible vehicles. From antiques and classics, to exotics, hot rods, and muscle cars, Hahn Auto Restoration can do it all! We also specialize in partial restoration of vintage racers and performance vehicles. 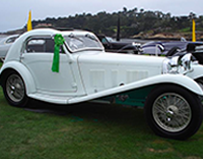 Our expertise lies in European Marques including Pre/Post War English (Jaguar, HRG, MG, Bentley, Rolls Royce, Allard, Austin Healey), Italian (Ferrari, Maserati, Alfa Romeo) and German (Mercedes-Benz, BWM). At Hahn Auto Restoration we are also recognized experts in the restoration of Mercedes-Benz 300SL Gullwings and Roadsters, so no matter what your partial restoration needs are, we have you covered! 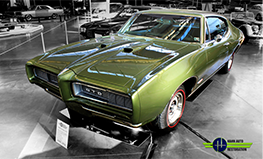 Our partial restoration services are great for clients who drive their collector car more heavily and are looking to refresh the look of their car or make upgrades to the various systems. We believe it is important to invest your efforts into maintaining your vehicle now, helping you to avoid the need for a more expensive restoration down the road. Our recommissioning services are a great way for clients who may not have the budget for a full restoration but want to get their car running again. If you have a car that has been sitting in your garage for a long period of time, the experts at Hahn Auto Restoration can help get your car ready for the road! Every car should be inspected occasionally to ensure it is mechanically sound. Our restoration experts can inspect your car and keep you and your loved ones safe. With our recommissioning services, we can help with various maintenance and repair work to help get your car up and running again. From hose replacement to clearing old gas out of the tank, Hahn Auto Restoration will ensure that your vehicle is thoroughly inspected and serviced during the recommissioning process. Contact Hahn Auto Restoration today to learn more about our partial restoration and recommissions and how we can help you get your car back on the road!